Subject to eligibility, we are happy to pay referrers on a one-off basis or on an ongoing basis for any referral that is successful. Your company name and contact information. 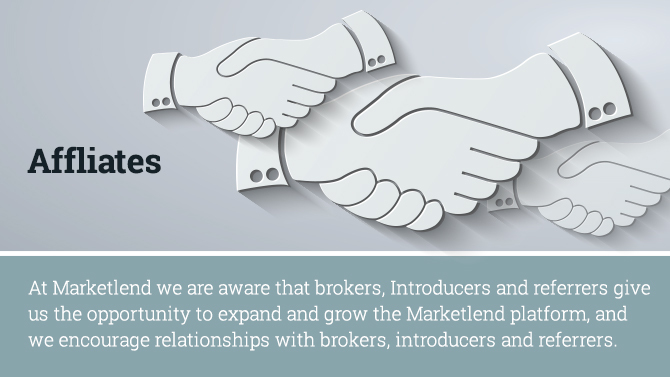 The Website(s) or business where you would like to promote MarketLend. An overview of your product or service including information about your typical customer and which geographies you serve. A description of how you’d like to work with us. As you can imagine we do obtain significant numbers of offers to partner with us and cannot respond to every response but we will endeavour to do our best to get back to you within a short period time. We look forward to hearing from you.